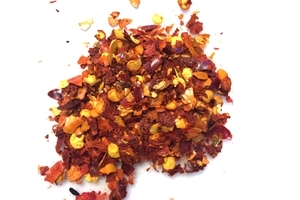 Kaya Crushed Dried Chilli Pepper in 5oz (140g) tub. Add crushed chili peppers to curry, pizza, hot dog, noodle dished and use as a condiment or dip. Product of China.